Dr Hanief Hassan completed his initial medical training in South Africa at the University of Witwatersrand. 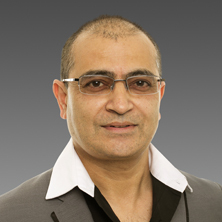 Dr Hassan furthered his studies and completed his fellowship in Anaesthesia in 2002 before moving to Western Australian in 2002 where he now practices full time as a Specialist Anaesthetist. Dr Hassan’s practice has provided him with in depth experience in Anaesthesia for many disciplines including General Surgery, Orthopaedics, Gastroenterology, Ophthalmology, Gastroenterology and Bariatric surgery. If you have a query regarding your anaesthetic with Dr Hanief Hassan, please complete the enquiry form below and we will respond within 24 hours (Monday-Friday).